This listing is for a pack of 9 minishifts with an enclosures and USB interface. You might also want to check out the single pack or 4-pack option with enclosure instead. Note that this product ships from the US. 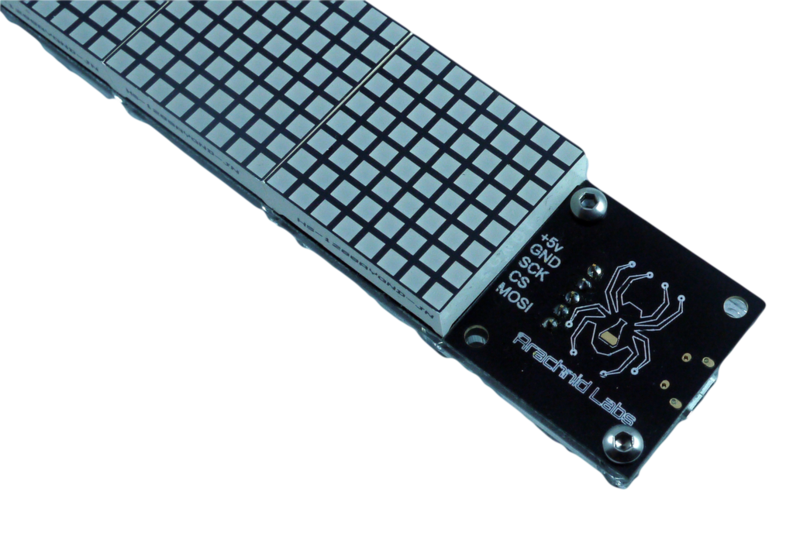 The Minishift is a compact and affordable 8x8 LED matrix display that speaks SPI, and can be driven from any microcontroller platform, or with an optional interface board, over USB. Each Minishift module operates independently, and they chain together to form larger displays, limited only by the amount of power you can supply them. They speak a trivial SPI protocol, with each display acting like an 8 byte shift register, making it extremely easy to work with them. 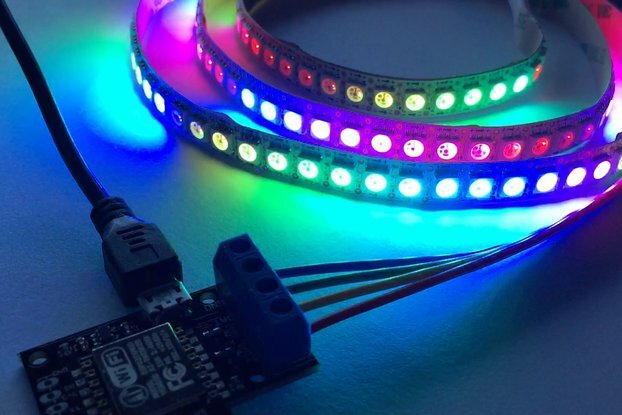 Sample code for the Arduino will be available before preorders ship. An optional USB-SPI interface is available, which makes it easy to drive a series of Minishifts from your computer. Python libraries and sample code, as well as a display driver daemon, will also be available soon. The USB interface can drive 8-9 Minishifts fully lit, or more if you will only be displaying text or other graphics that don't light all the LEDs at once. 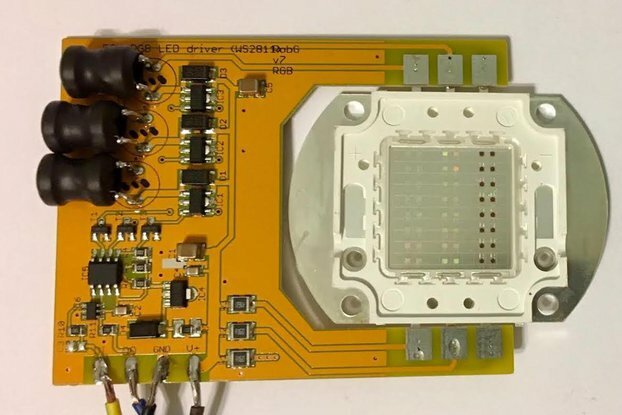 Minishifts and the USB interface are sold as kits, with all surface mount parts populated, leaving only the connectors and LED matrix to solder yourself. Full instructions are provided. The Minishift is offered in a number of different packages, suiting common usage scenarios. This listing includes 9 Minishift kits, a USB interface, and two acrylic enclosures with mounting hardware. Everything you need to build a scrolling or animated display, controlled from your computer. The enclosures are transparent 3mm acrylic, and consists of a backplate to mount the modules to, a protective front panel, and all mounting hardware for the modules and the enclosure. This product has a simple but elegant design and everyone that sees it just loves it. I've hooked it up to a WiFi enabled Arduino board so that I can use it as a remote status display for my IoT devices and home automation system and it looks great. Great little kit, just what I was looking for! 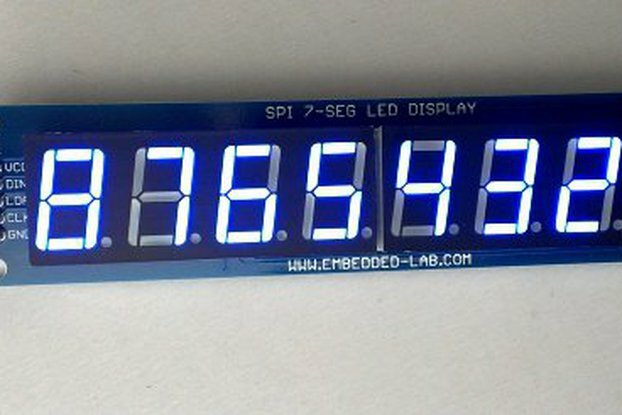 I've been thinking of splicing a bunch of displays together to make a programmable clock, but the project was always just out of my comfort zone, and would have take a lot of design and implementation energy, so it never happened. This kit was the perfect solution! It probably took me a couple of minutes to solder each of the displays together, and few more minutes to put the case parts together. Getting the Raspberry Pi software set up and writing my first clock program took a while, but it's been working fine since, so now I need to get started on the more complicated code. Arachnid is pretty responsive, and I've bought their Re:Load Pro, which is a nice box, so I'd definitely recommend the company. I may even buy some more modules or another kit to extend the display and add an external power supply, but that's a future optimization. Overall I'm very happy with the product! Not all the modules were shipped with the initial order (fulfillment company has some issues) but they shipped them right out when I notified them of the problem. The display is hard to read in a well-lit room, but I've got some colored plexiglass on order to increase the contrast.